Sailtech Falmouth was established in 2005 by Peter Crockford, following on from over 25 years experience as a sailmaker across the World. At Sailtech, we aim to provide a service across a range of boats and products. 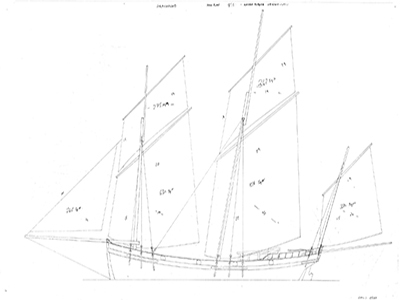 Examples of some of the sails can be seen in the image gallery. Based in Falmouth, Cornwall, we are at the heart of a very affluent sailing community, where we aim to work with our customers to provide them with the best service. We have worked with charities, including a project by Marcus Rowden and Freya Hart, of east Cornwall, building replica 18 century Lugger sails, where we went back to our routes and produced sails using traditional hand sail making techniques. 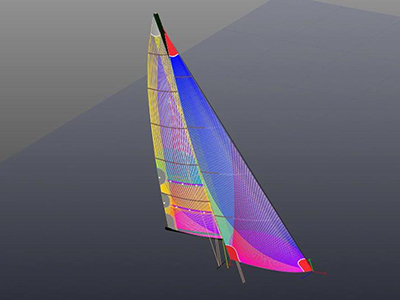 In the racing scene, we can produce high quality sails, built to win, through the use of computer aided design, which allows us to simulate wind flow over the sail to produce the best design. Racing experience and understanding amongst the Sailtech team also allows us to produce top products. Sparkman and Stephen's Swan 47 had their Mainsail and number 3 Genoa constructed from Carbon Fibre Stratis by Sailtech using this technology.